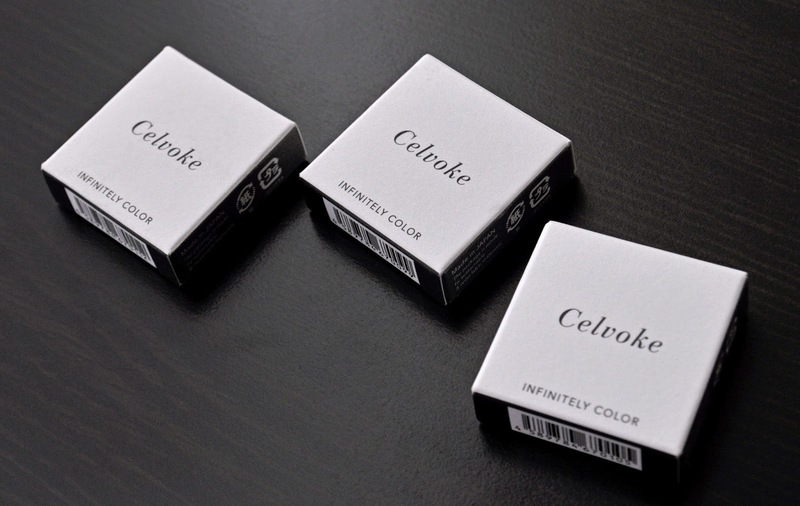 A versatile product, Celvoke's Infinitely Color has a creamy, emollient-based formula that can be used on the face, eyes, and lips. Celvoke's semi-translucence, frosted black plastic packaging gives their products an edgy-chicness. Depending on the method of application (brushes, sponges, or fingers), this product can be applied as a sheer wash or built-up for more intensity. 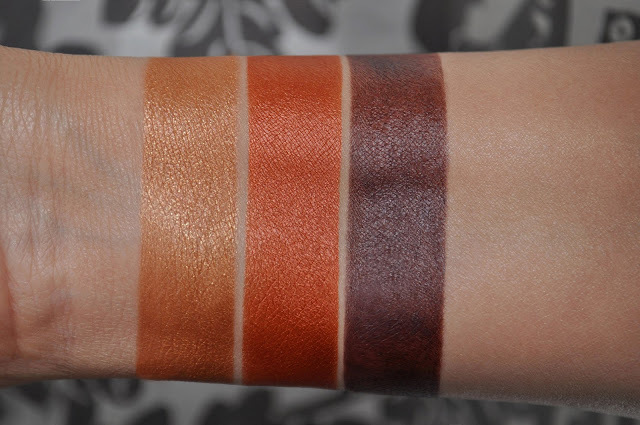 Infinitely Color can be wore alone, as a base, or layered over other products. From left to right: 01, 02, 03. 01: a dirty, coppery-gold metallic loaded with micro gold shimmer. 02: a rusty, coppery-orange metallic. 03: a rich, dark chocolate semi-matte/cream. 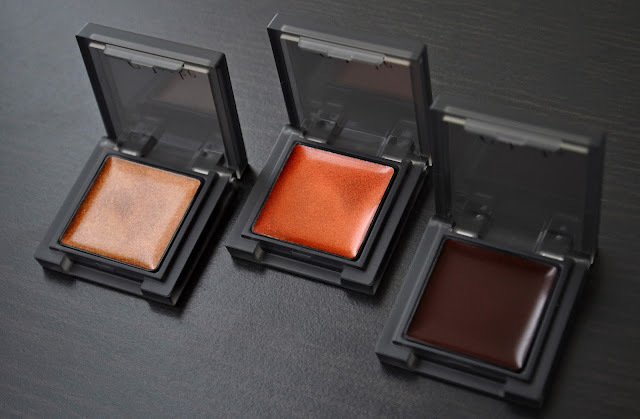 01 works best on the eyes and lips, But, if applied as a highlights, the micro shimmers are too excessive, making one look more of an arts and crafts project than fall fabulous. 02 (my favorite of the three) performed and looked gorgeous any which way it was applied. 03 was the problem child of the bunch. 03 applied nicely as a cream contour, and as a sheer wash of color on the eyes and lips. However, when I tried to buildup the pigmentation on the eyes and lips, the results were an uneven, muddy mess. When worn as a base or over other products, I didn't experience any creasing, and got about 6-7 hours of wear. If worn alone and not set with a translucent powder, the Infinitely Color will begin to fade within 2-3 hours. The Infinitely Colors contain less than 10g and retails for 3,456 yen. Hey PJ T! I know, but I make 03 work. 02 is my favorite, a gorgeous shade. 01 is beautiful as well. Did you pick it up?